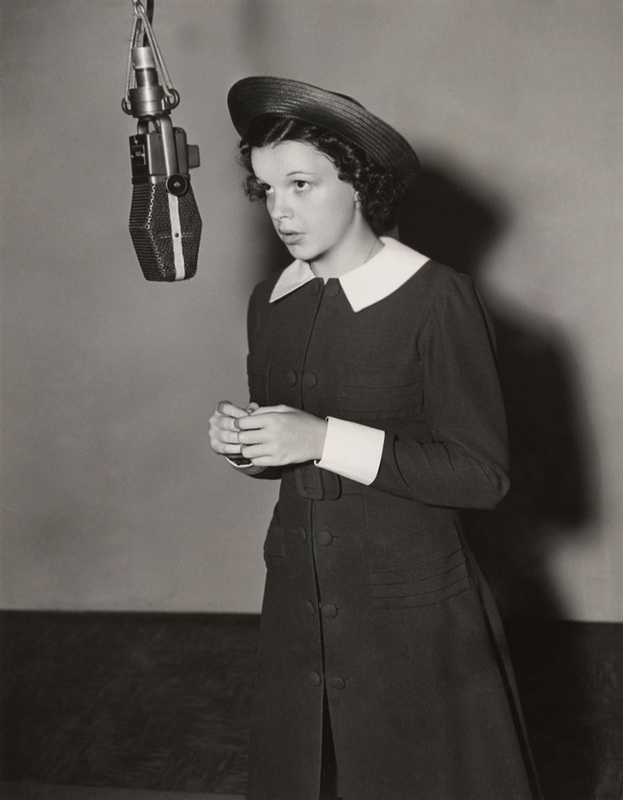 14-Year Old Judy Garland By Virgil Apger, 1938. 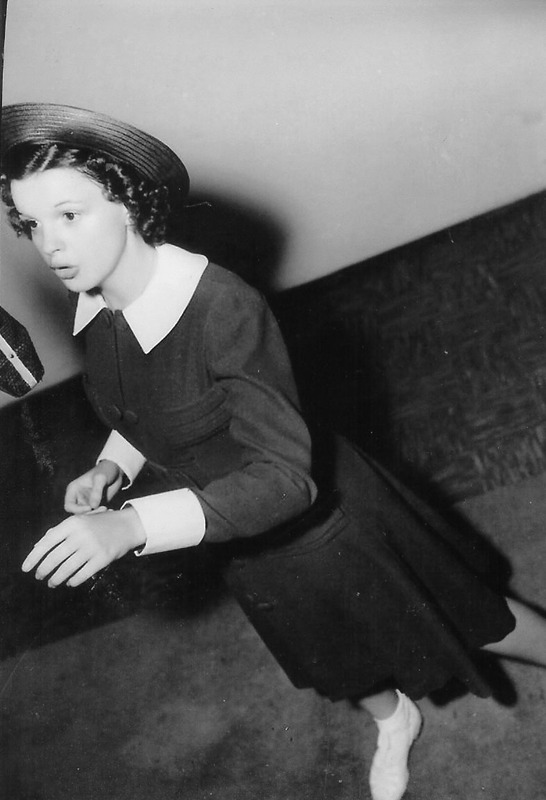 July 27, 1937: These photos were taken of Judy in her Broadway Melody of 1938 costume. 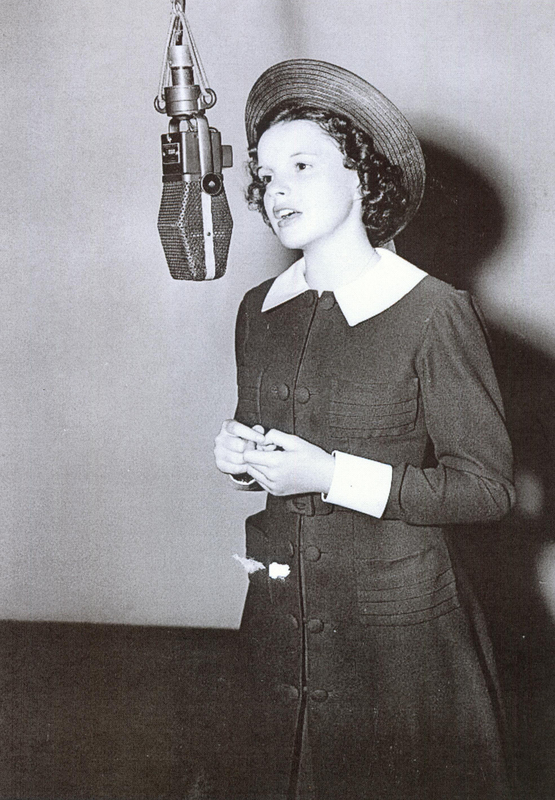 The photos were set up to look as though she was on the MGM recording stage. The reality is that these are posed photos taken in the studio’s portrait gallery by studio photographer Virgil Apger. 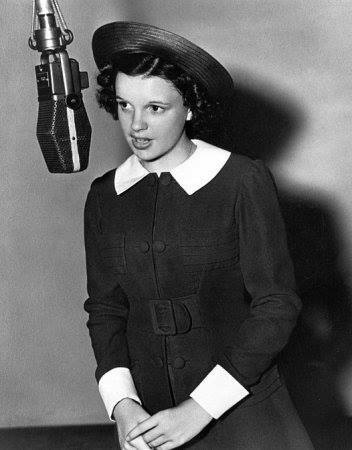 At this point, Judy had already completed her work on the film, her last recording session having been the previous May. 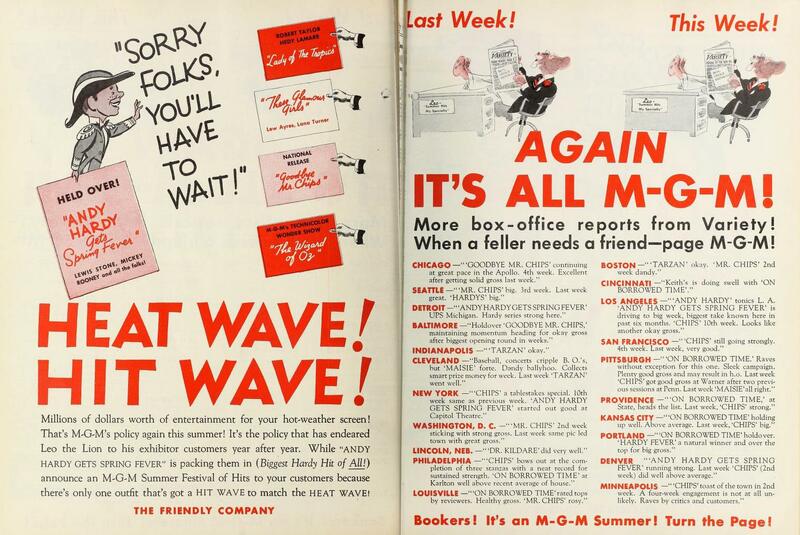 July 27, 1939: This two-page ad promoting The Wizard of Oz (and other MGM films) appeared in the Film Daily trade newspaper. 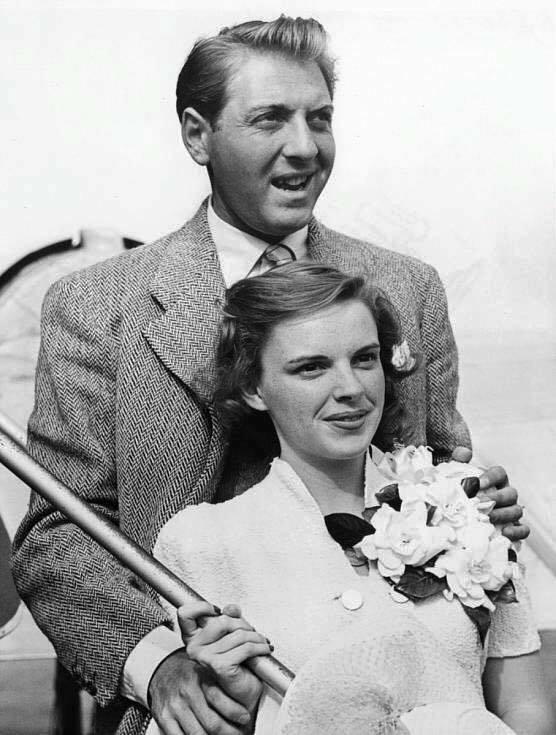 July 27, 1941: These photos were snapped of Judy and David Rose on their way to Las Vegas. The couple was accompanied by Judy’s mom, Ethel, and stepfather. 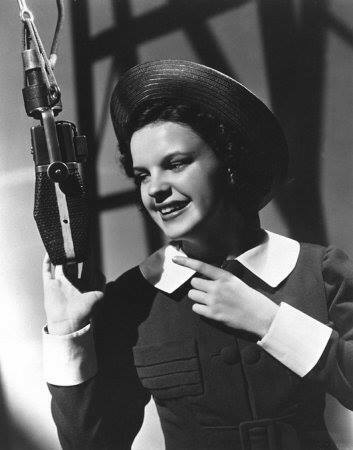 Judy had called in sick to MGM the day before, putting the company of Babes on Broadway on temporary “layoff” as they could not shoot around her. No doubt she was preparing for the Vegas trip. 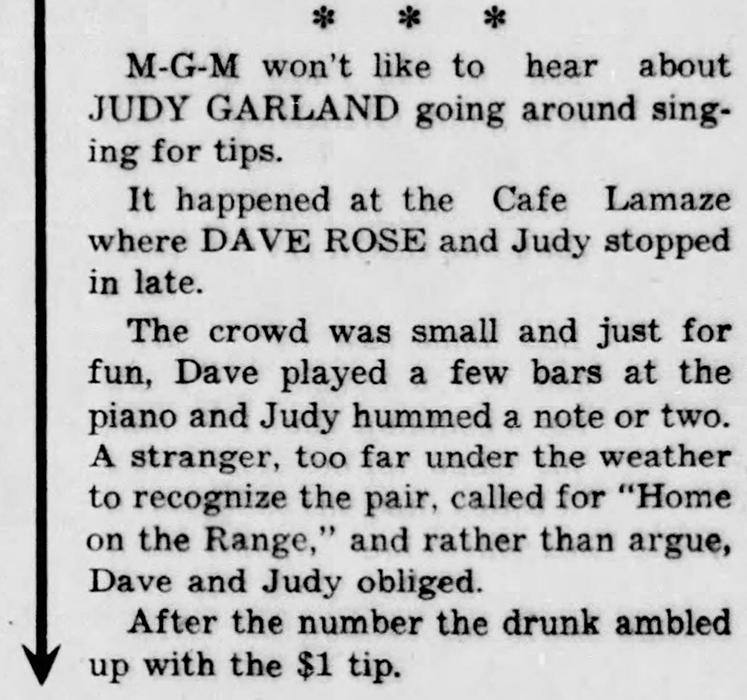 Later that night, actually 1 a.m. on the morning of July 28th, Judy and Rose were married. 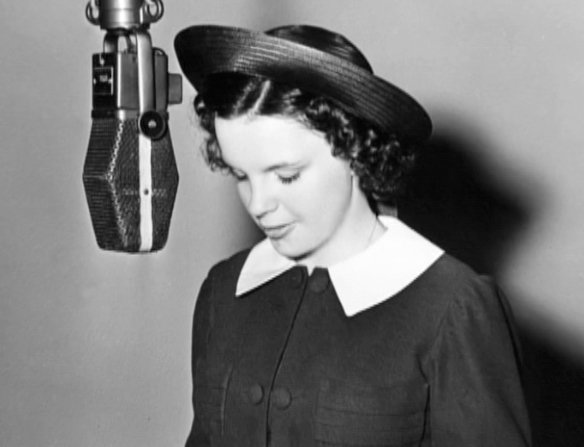 It was the first for Judy and the second for Rose, who had previously been married to Martha Raye. The marriage lasted, officially anyway, until 1944. 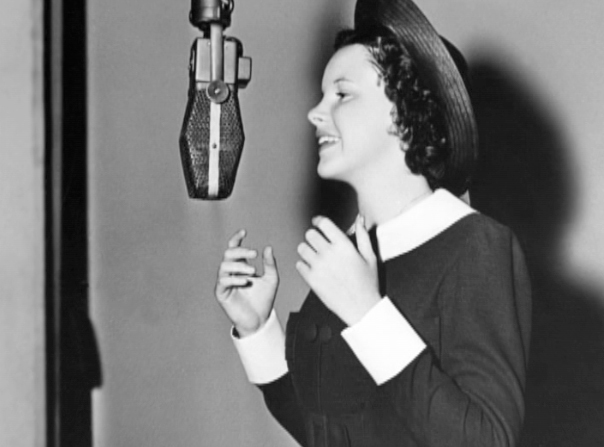 Although in the beginning, it was a happy marriage the demands of the studio on Judy got in the way. 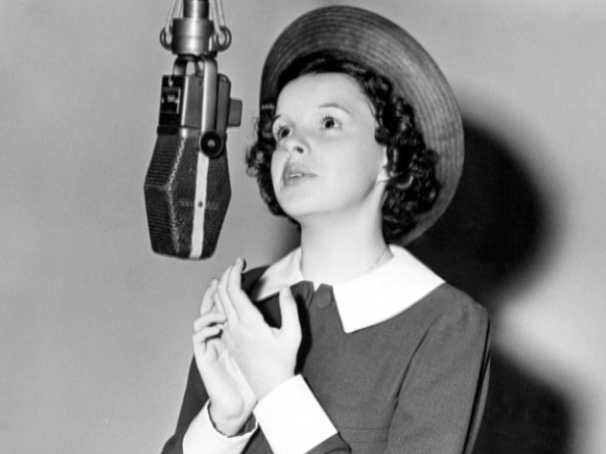 It’s known that Judy had at least one abortion during the marriage, possibly two, at the insistence of both her mother and the studio. 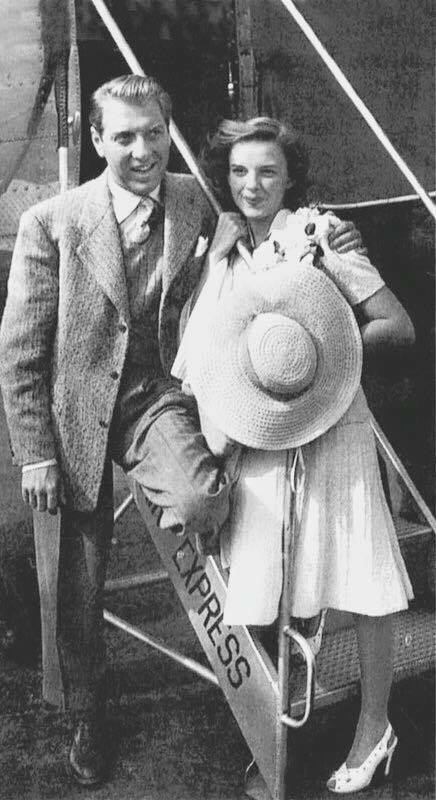 To Rose’s credit, he never spoke nor gave any details about their marriage. He died in 1990 after a successful career as a composer. He composed the famous “The Stripper” and “Holiday for Strings” as well as several films and TV shows including Little House on the Prairie. 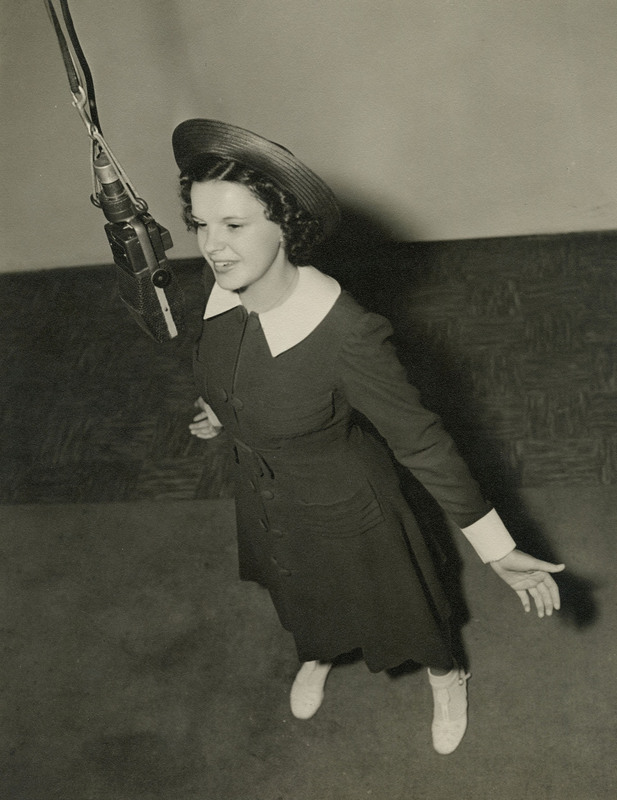 July 27, 1945: Judy was scheduled to appear on “The Jerry Wayne Show” on CBS Radio but postponed due to illness. It’s possible that the illness was the first sign of morning sickness. 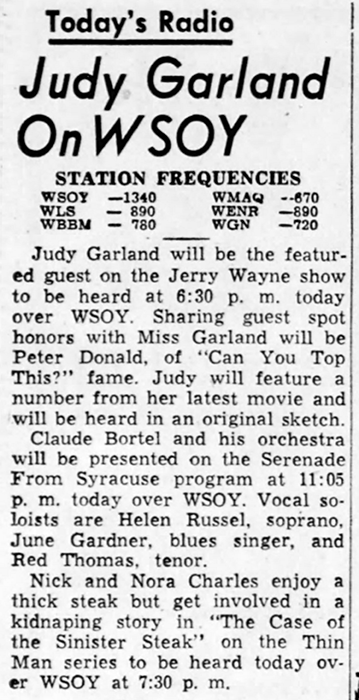 Judy’s appearance was rescheduled to August 10, 1945. 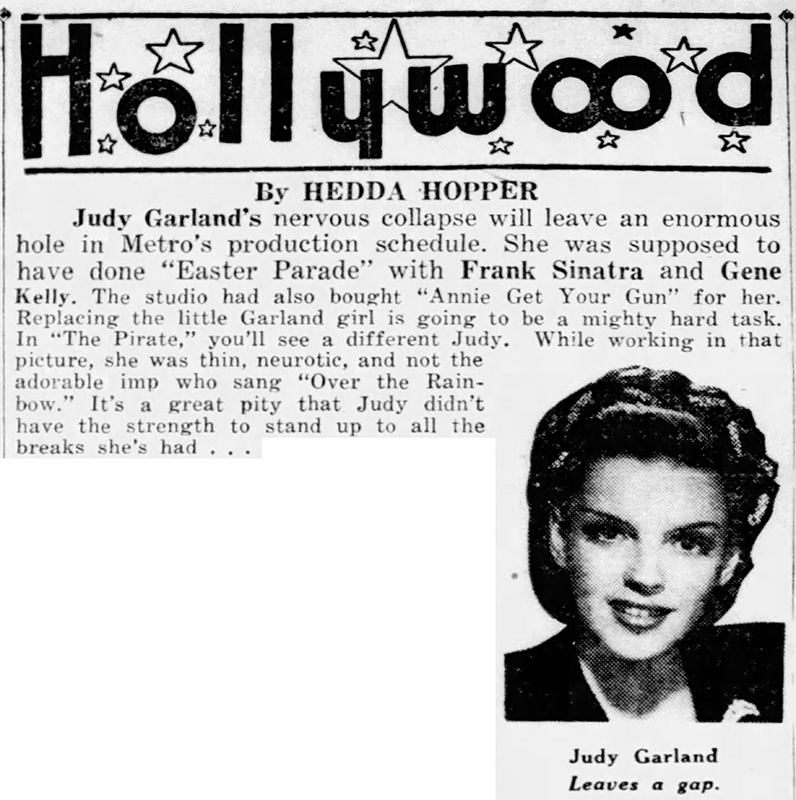 July 27, 1947: Hedda Hopper reported that Judy’s recent collapse (and unpublicized suicide attempt) would mess up MGM’s production schedule, especially the upcoming production of Easter Parade which was still planned to co-star Judy with Gene Kelly and Frank Sinatra. At this time Judy was at the Austen Riggs Center in Stockbridge, Massachusetts, for much-needed rest and withdrawal from per prescription medicines. 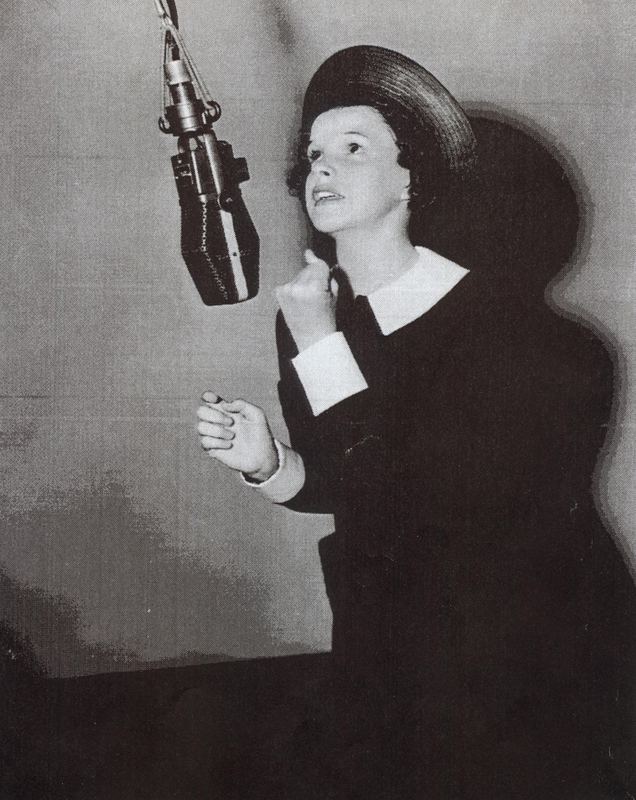 She began work on Easter Parade in September. 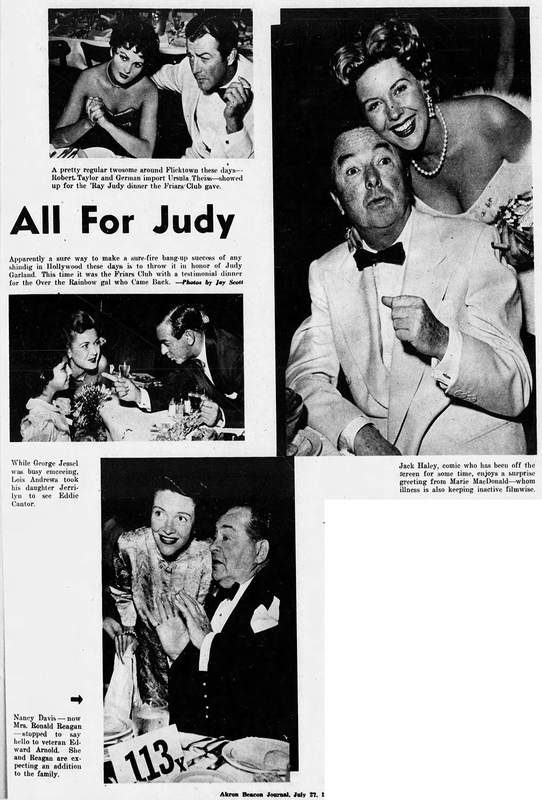 July 27, 1952: This spread appeared featuring photos of some of the attendees at the Friars Club event on June 29th in which Judy was the second woman to be honored. Oddly enough, there’s no photo of Judy! 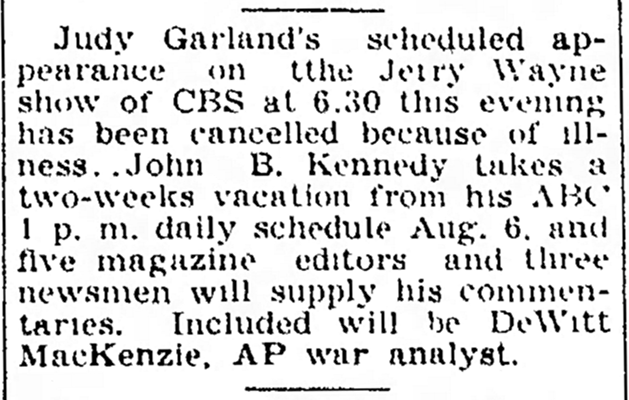 July 27, 1954: Here’s a great article about George Cukor and his adoration of Judy and her talents. “This girl is magnificent,” he’s quoted as saying, among other accolades. 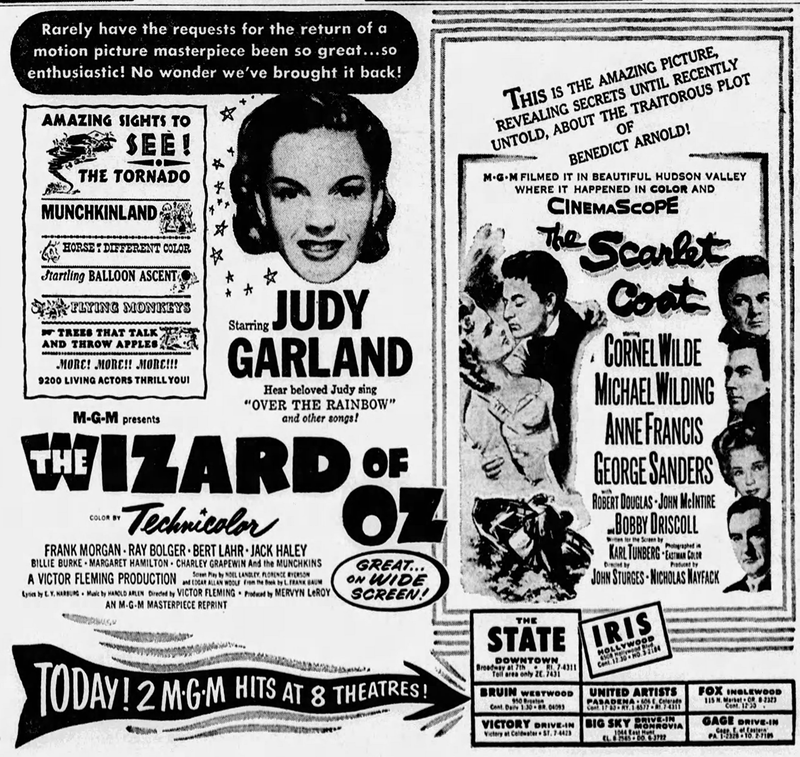 July 27, 1955: A few more ads for the current theatrical re-release of The Wizard of Oz. 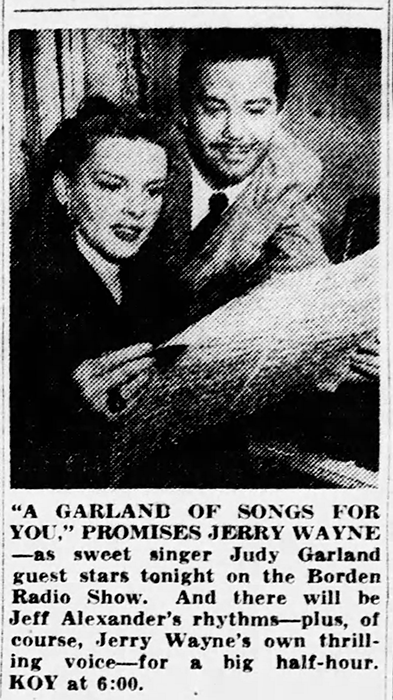 July 27, 1956: Columnist Bob Thomas provides an amusing Garland quote when relaying the story of Judy’s neighbor, Humphrey Bogart’s, return home from the hospital. 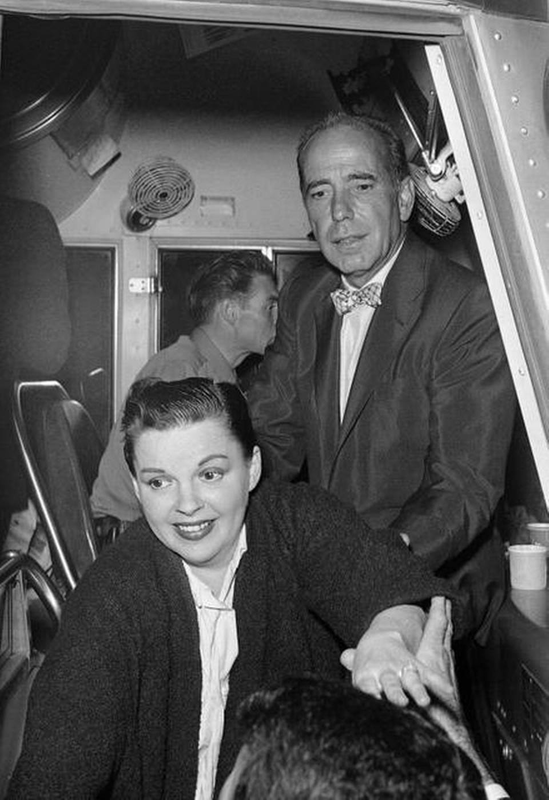 Photo: Judy boards the bus that Bogart & friends chartered to see her in concert in Long Beach, California on July 11th. 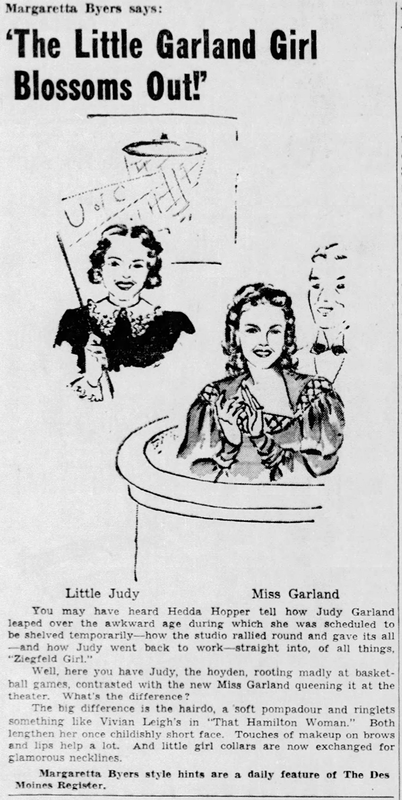 July 27, 1961: “Judy at Carnegie Hall” is, of course, a hit! 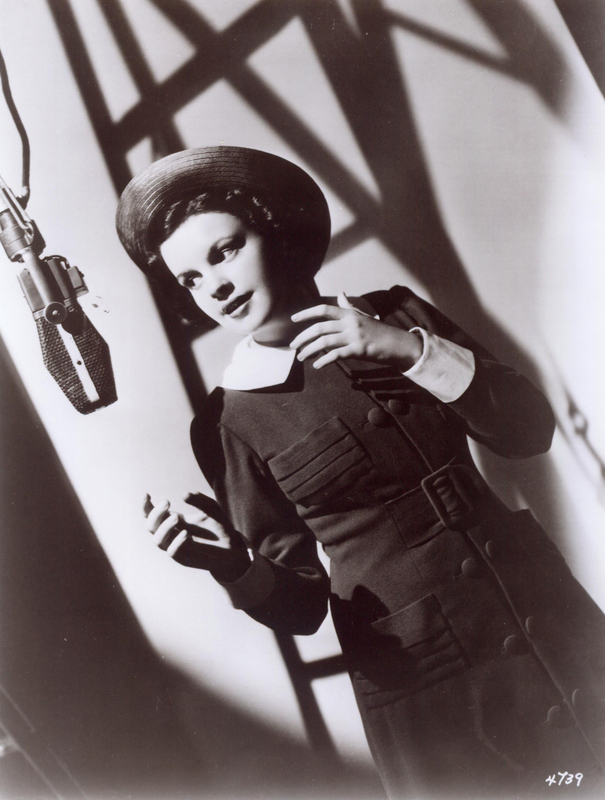 Check out The Judy Garland Online Discography’s Judy at Carnegie Hall pages here. 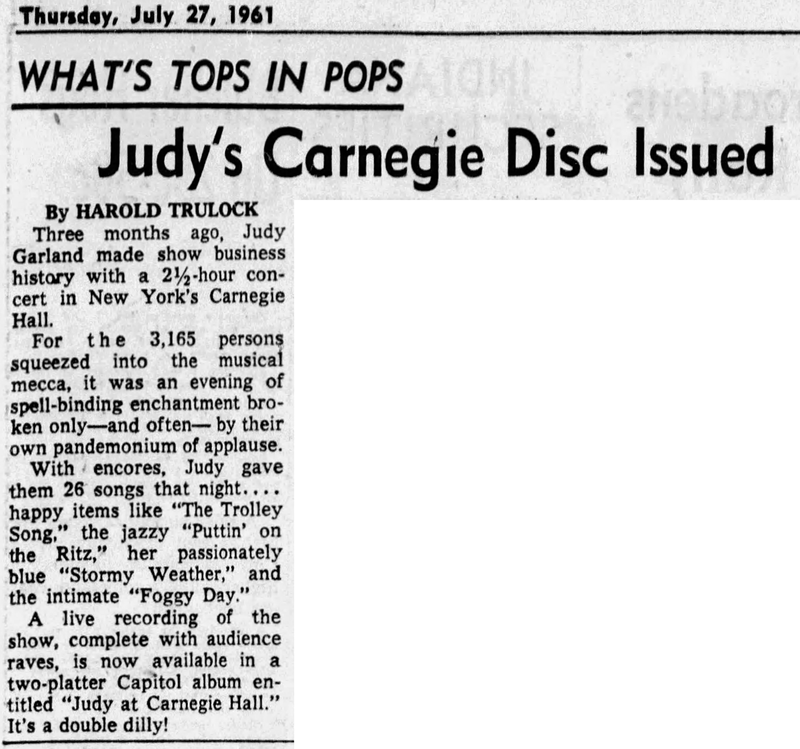 July 27, 1969: Capitol Records released five singles of tracks from “Judy at Carnegie Hall” which prompted this rather negative review in which the critic, Douglas Watt, felt that Judy was “past her prime” when the concert was recorded. 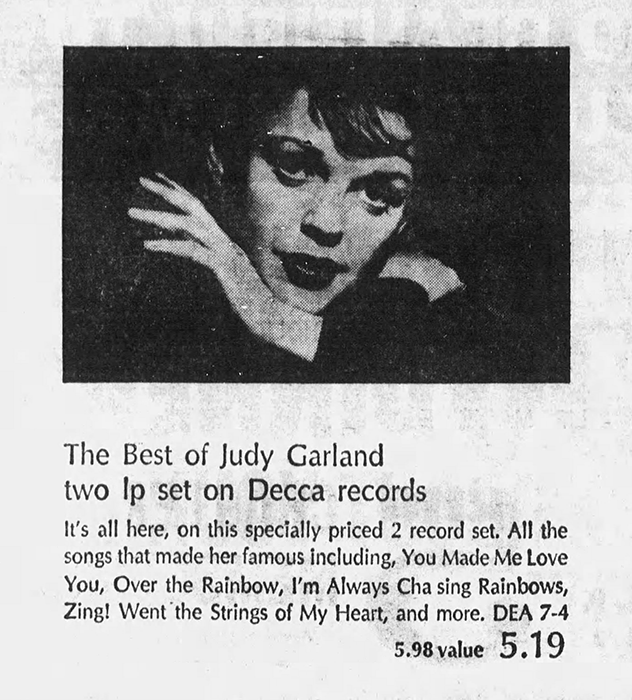 Also, Decca Records re-released their 2-LP set “The Best of Judy Garland” originally released in 1963. 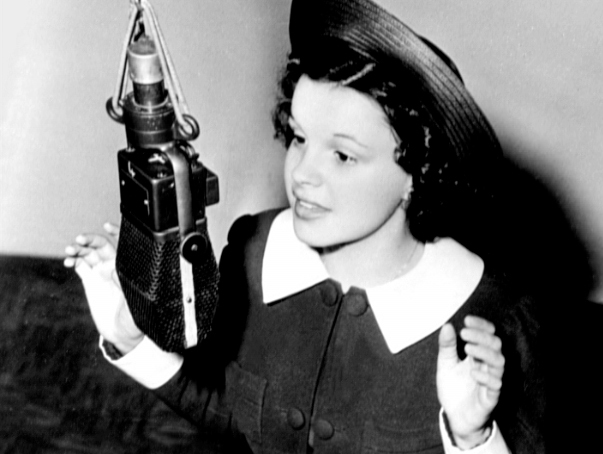 Check out The Judy Garland Online Discography’s Decca Records Section for more details about all of Judy’s recordings for the label and the many re-releases. 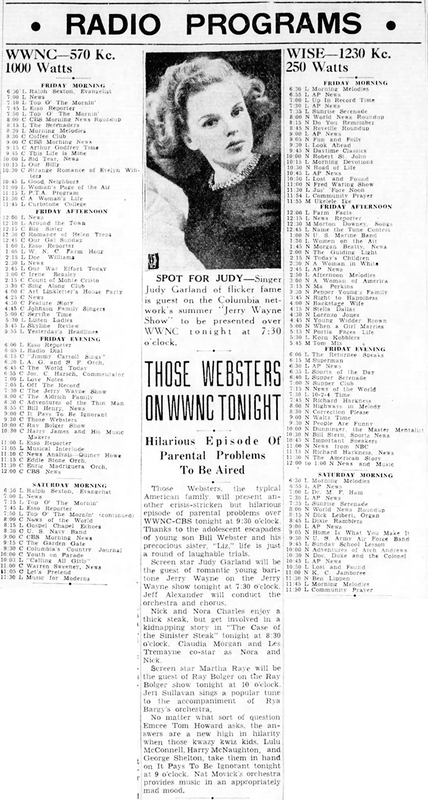 July 27, 1974: A rare showing of one of the episodes from Judy’s 1963/64 series, “The Judy Garland Show.” Shown this night was “Episode Twenty-Three” informally titled “Songs From The Movies” taped on February 21, 1964, and aired on March 8, 1964. 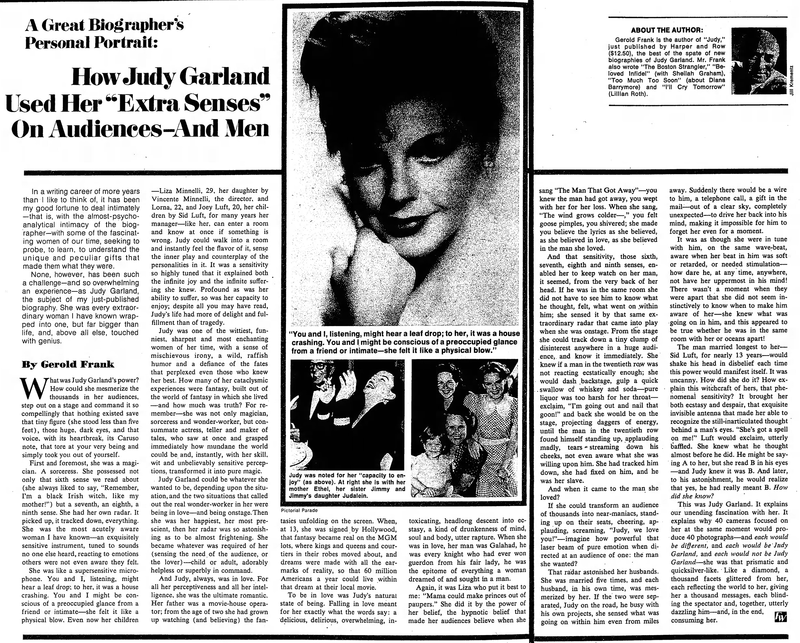 July 27, 1975: “How Judy Garland Used Her ‘Extra Senses’ On Audiences – And Men.” This article was written by “Judy” author Gerold Frank. 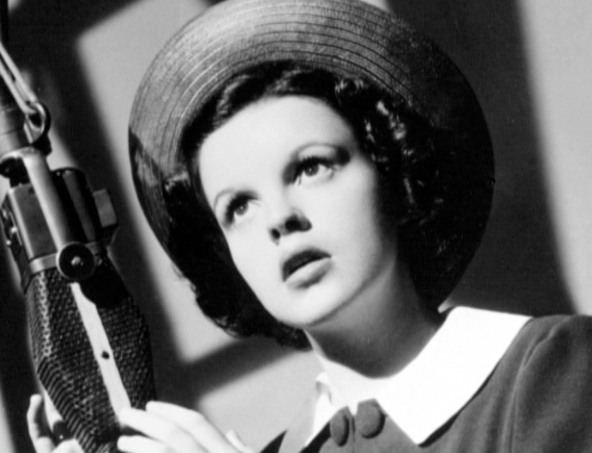 The book was the first in-depth biography about Judy to be published and to this date is still a great book. Another classy, fascinating entry, Scott! A couple of notes on David Rose. 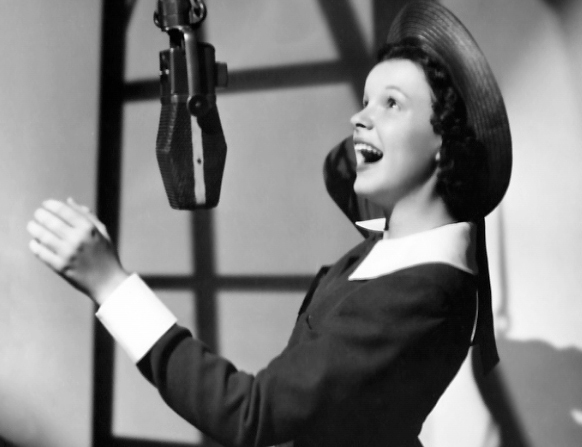 When I was a kid, my mom woke up me in the middle of the night to tell me some radio station was doing a tribute to Judy. Two male broadcasters, were playing her records and talking about here career. In the process, they got a few people on the phone to talk. One of them was David Rose, long divorced from Judy, who had been dead about seven years. If memory serves, Rose stated something like, “Well, you woke up”, and tried to collect his thoughts. He then said some nice things about Judy before saying goodnight. Also, if I recall, he did contribute his thoughts to Gerold Frank for “Judy” concerning his brief marriage to her. 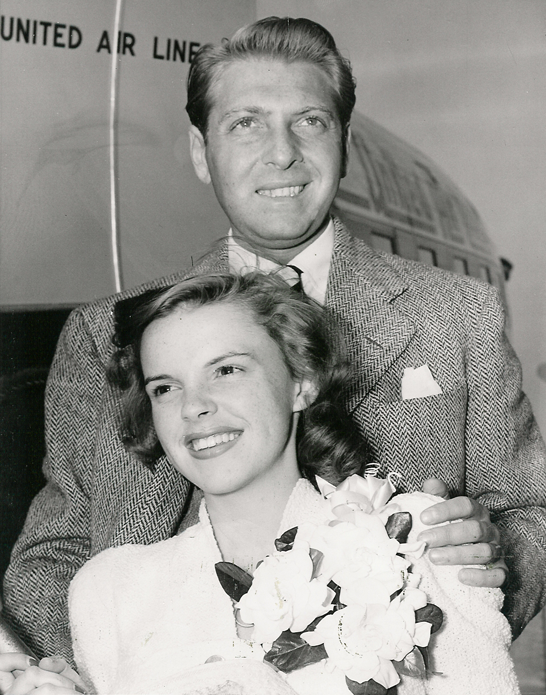 But other than those two occasions, he took the classy road, and never discussed Judy. Rose was a classy guy in that respect. I have always wished that someone would have done a solid interview with him. Maybe they tried and he declined.